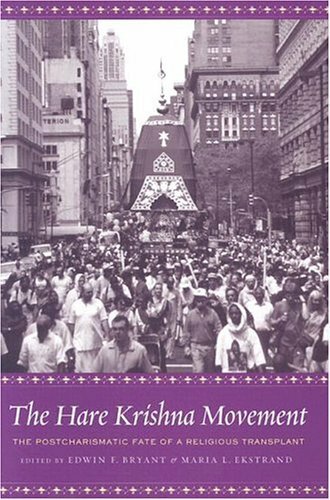 For many the Hare Krishna movement continues to be the most visible face of any eastern religion transplanted into the West. This volume discusses the successes & failures of the movement, the difficulties it has faced in putting down roots in foreign soil & recent schisms following on the death of the founder. EDWIN F. BRYANTreceived his PhD in Indology from Columbia University. He is a professor of Hindu religion and philosophy at Rutgers University, and also teaches workshops on the yoga su- tras and other Hindu texts in yoga communities around the world. Edwin F. Bryant is assistant professor of Hinduism at Rutgers University. His publications include The Quest for the Origins of Vedic Cultureand Krishna: The Beautiful Legend of God, Srimad Bhagavata Purana Book Ten.Maria L. Ekstrand is a psychologist on the faculty of the University of California, San Francisco who was involved in the development of ISKCON's child abuse investigation guidelines. Who Is Shri Chaitanya Mahaprabhu?